How about a new holiday mix? Sounds good. This mix starts out a bit unconventional with a Fleet Foxes cover by Kina Grannis. But 'White Winter Hymnal' fits nicely here, I think. There's an abundance of good Christmas music out there that feels very indie singer/songwriter. I've gathered some of my favorites and mixed em up for you. I hope you enjoy it! P.S. If you want to re-visit any of my previous 2011 mixes, you can listen to them here. Or, if you want to check out last year's Christmas mix, click here. Comment once on this post by 9am Monday, December 5th. A winner will be announced on Monday. 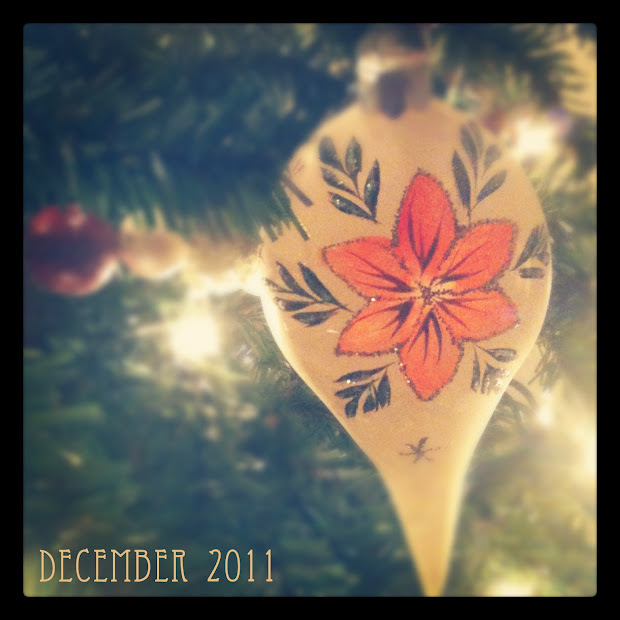 * This month's cover art is a picture I took recently of my favorite vintage ornament. It's a keepsake that was my grandmothers and I love it. It's very fragile and someday it might break, but I will always have this picture.